Personal Feelings aside, a recent CAPTalk thread has opened up debate on weather or not CAP officers are/should be commissioned. Usually, the President or Governor of a state will commission officers. As cited in the thread, the idea of the President commissioning all officers in the U.S. Armed Forces is rather new, and comes out of World War II. However, the President does not 'commission' CAP officers. Rather, they are appointed by the Secretary of the Air Force. Could CAP better accomplish it's missions if the officers were in fact commissioned by the President or other authority? Firstly, we should acknowledge that a commission would imply authority. Right now, the enisted and subordinate grades are not required to render salute to a CAP officer (although most do); however CAP officers are required to do so to superior grades. Would not a commission warrant a salute from subordinates? I believe that it would require them to regardless of branch. Secondly, it raises the issue of squadrons commanded by a 1st Lieutenant, with majors and Lt. Colonels in them. Although this could turn into a minor point, a commission would imply that the highest ranking officer assume command. Additionally, a commission might place CAP under the auspices of the Uniform Code of Military Justice (UCMJ). However, with CAP assuming more missions alongside the Air Force and other military branches, the idea of a commission may be worth considering. My wing is an equal player in air operations for our state: sitting alongside and equal to the Air National Guard, and Army National Guard Aviation units. If Maj. Gen. Tuxill is to be believed (and I have no reason to think he is lying), then my wing at least will have a greater role to play in Maryland's homeland security mission. So then, wouldn't a commission be a beneficial thing for members who work side-by-side with the Real Military? I believe the answer to this question to be yes, if only because it would allow us to better integrate us into the real forces. With our expanding mission here in Maryland, we are becoming highly visible in the greater military community. True, many know who we are now, but many others do not. It will become hard to justify men and women running around with bars who are not commissioned. It's not fair to the officers who had to earn their bars. I should be clear about this point, however. I do not think that a simple commissioning is fair either without a major overhaul of the requirements and training to be an officer. (See "Expertise, Responsibility, Corporatess") A major overhaul of our PD system at the initial levels would be needed before any sort of commissioning could be considered. In this post I will not venture to offer a solution to this problem, as it is not the point of this article. Integration into the real military is a very real thing right now. What is to be said of us; members who call themselves officers but have no commission? Even state guard officers have a commission: the governor of their state is the promoting authority in this case. 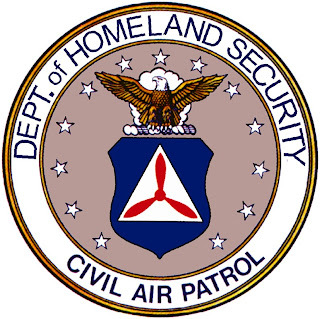 Why, then, should the Civil Air Patrol limit itself to simple appointments? I believe that a commission, with proper qualifications to attain one, is an integral part of CAP moving forward. Perhaps a compromise could be considered: the governors of the states that the wings serve could commission the CAP officers within that state. It would be a reversion to the Civil War model of regiments like the 54th Massachusett's or the 23rd New Jersey. However, the solution to modern problems can often be found in the past.